Estimate, Plan and Pour better with Constructible 3D Concrete Models. With Tekla’s ability to handle pours and manage pour-related information effectively, the software is an essential tool for improving concrete pour planning and management on site. Model for preconstruction: Quickly create accurate 3D model of your job. 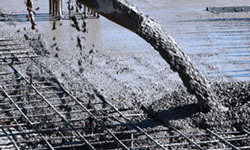 Plan to pour: Use the 3D model to get organized, estimate and efficiently prepare to pour. Pour on site: Take the model on site to pour the concrete confident everything is covered. Layout tools allow you to bring the accuracy of a 3D model right into the field. They can also cut the time and staff required to layout. 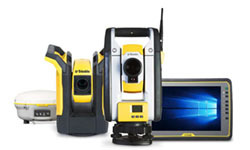 Trimble has many layout tools designed around specific tasks, so see the full list to find the best for your needs.